Hate speech in the media is not a new phenomenon, but surely it is a growing concern as it spreads much faster, sees no borders, and affects much larger portions of the global population. It can be seen on both sides of the Atlantic, with worrisome trends. Social media platforms are facing increasing pressure over how they manage hate content spreading through their platforms. That, combined with the most recent results of the 2018 World Press Freedom Index (compiled by Reporters Without Borders and reports that hate speech and climate of hatred against journalists are on the rise), confirm that hate speech presents a major challenge to today’s journalism. While Facebook has tested a “hate speech button” that allowed users to report hate speech on individual posts in an effort to understand different types of speech, Twitter has enforced new policies to combat hate speech and abusive behavior on the platform. To this, Twitter wants to define the right health metrics to measure conversational health. As for the EU, the Commissioner for Justice, Consumers and Gender Equality, Věra Jourová, is examining how to have hateful content removed swiftly by social media platforms, with tough legislation being one option that could replace the current system. During his testimony before the US Congress last month, Facebook founder Mark Zuckerberg admitted Facebook cannot ensure the prompt and effective removal of hate speech from its pages. Mr Zuckerberg said that over a five to ten year period, they will have AI tools that can get into some of the linguistic nuances of different types of content to be more accurate in flagging things for their systems. “But today, we are just not there on that,” he said. Five to ten years seems a long time. The EU-funded Data-driven Approach to Counter Hate Speech (DACHS) will try to speed up this process over the next 18 months. Of course, all victims of hate speech are equally in need of protection and defense. However, for the purpose of DACHS, the two parties awarded this project (European Journalism Centre and DataScouting) will focus on hate speech directed at journalists and news outlets on Facebook, YouTube, and Twitter. The primary objective of DACHS is to detect underlying patterns of, and develop strategies for journalists to counter hate speech, including closer collaboration with platform operators. The European Journalism Centre and DataScouting will work closely together to build an annotated database of verified instances of hate speech and a smart decision support system to help journalists be able to identify instances of hate speech against themselves software-assisted, in near-real time and predicatively. 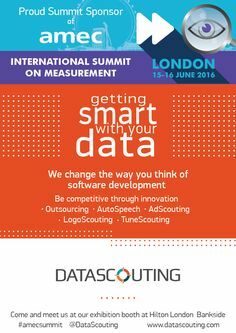 In particular, DataScouting will be responsible for the annotation and system architecture, semantic analysis, machine learning and predictive analytics, data maintenance, platform integration and dissemination of the database and technological tools to potential users. “We are excited to be part of DACHS project alongside EJC in this joint effort to counter hate speech. Hate speech undermines free and public discourse on the Internet and we see this as a serious challenge and a real threat for journalists, and not only. Our main goals include detecting hate speech and its underlying patterns by using state of the art machine learning and natural language processing algorithms, and developing strategies for journalists to counter it,” said Tom Avramis, Managing Partner of DataScouting. At least 250.000 professional journalists in Europe (and other stakeholders) will benefit from DACHS and by further extension, other vulnerable groups in Europe. 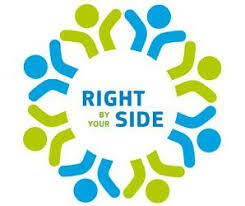 Founded in 1992, the European Journalism Centre is a non-profit, independent organisation that connects journalists with new ideas, skills and training. We work with foundations, technology companies and governments to build a sustainable, ethical and innovative future for journalism. That is achieved through four strategic areas: grants, events, training and media development. 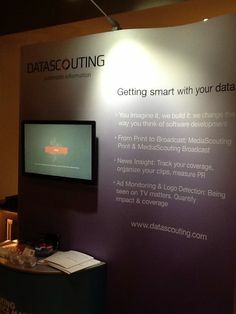 DataScouting is a software research and a development company specialized in creating smart media monitoring solutions using machine learning and cloud computing technologies. With proven experience in the media intelligence industry, DataScouting helps corporate clients, media intelligence companies and organisations to derive actionable information from 360° media monitoring.